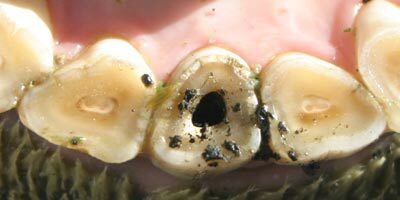 Routine dentals are the most effective way to ensure a horse's teeth are kept in the best condition possible. Dr Taylor recommends at least a yearly exam for adult horses, while younger horses, or those with special dental needs will require more frequent visits to maintain optimum health and comfort for the horse. 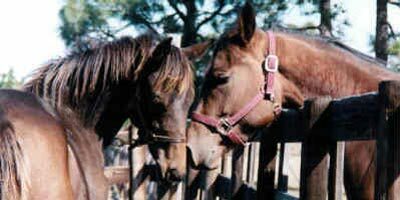 Horses with a tendency to develop hooks, ramps, waves, or other abnormalities of wear (malocclusions) will need special treatment to reduce or fix the condition and restore proper conformation and alignment to the mouth. These conditions are best addressed earlier than later, and, once corrected, may require some continued adjustments year to year to maintain optimum health. Horses can get cavities in their teeth, just like humans. 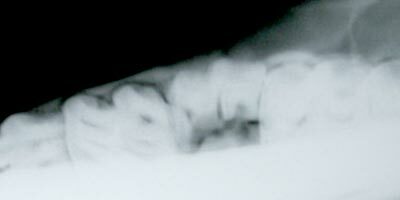 If caught in time, these cavities can be treated by "filling" or restoring the tooth. 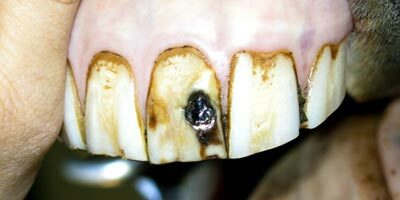 Restorations can prevent an infection from happening, often saving the tooth from having to be extracted in the future. As with most things, early detection and treatment is crucial. 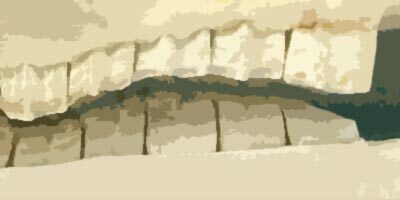 periodontal disease can lead to tooth loss. Endodontic therapy involves treatments of the tooth's pulp and pulp canal. In situations where the pulp has become exposed (often due to a cavity or fracture), the pulp can be "capped" to prevent further damage to the tooth. Sometimes the pulp, due to infection or trauma, will die, and the canal can be filled (pulp canal procedure). If done in a timely manner, these therapies can prevent loss of the affected tooth.